Prem Nirmal is Holistic Counselor, Human Trainer, Kriya Yogi, Scientific Mystic and Enlightenment Educationist of international repute. 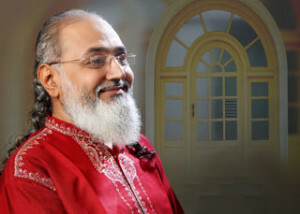 Lovingly known as Guruji Prem Nirmal by his friends and spiritual seekers, he has personally contributed to lives of thousands of people worldwide through his talks, seminars, workshops and spiritual retreats. 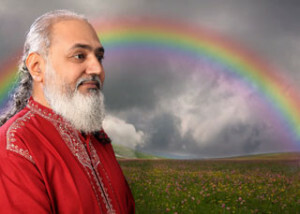 He is a Visionary Kriya Yogi and promotes humanitarian and spiritual values through Kriya Yoga teachings. His greatest contribution to the world is in the form of 49 Healing Breaths Nirmal Kriya and 6 Step Nirmal Dhyan, the combination which is immensely useful for improving seven dimensional well-being of humanity. The seven dimensions are: Physical, Mental, Emotional, Social, Spiritual, Financial and Time. He is the modern scientific mystic known for his cutting edge western scientific approach balanced by deeply insightful eastern wisdom. 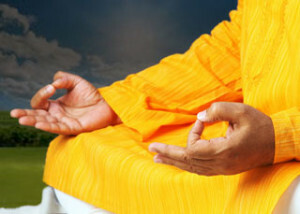 Guruji travels world over to conduct Kriya and Meditation workshops and Retreats. 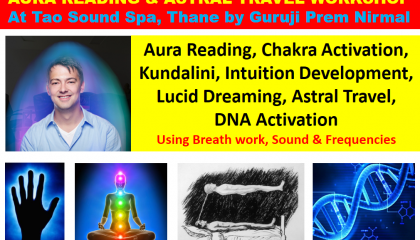 He has conducted his workshops in all major cities of India, Dubai, Muscat, Nairobi, Singapore, Malaysia, Hong Kong, Nepal and Bali. 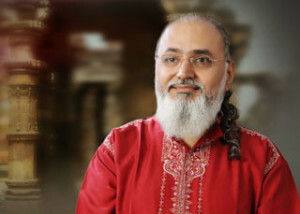 Having trained thousands of people worldwide, Guruji shares tools and techniques for spiritual growth and makes the learning process easier and enjoyable through humor, breathing and special energy transfer through SHAKTIPAT. 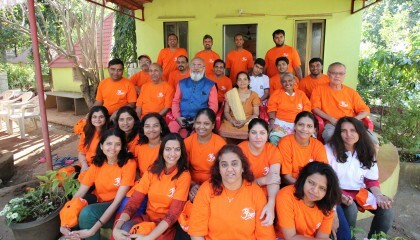 He shares his enlightenment with those who are keen on experiencing it through SHIVAPAT experience. 1) Born on 19th July 1960 in a middle class family at a small village by name Bayath (Kutch) in Gujarat state of India and studied in the village school up to 7th standard before shifting to mega city Mumbai, the commercial capital of India. 2) Completed Graduation in Electrical Engineering from Mumbai University in 1982 and worked in corporate world at Mumbai before starting his own Industry of manufacturing electronics goods in June 1986 which he continued up to March 2007. 3) Being a continuous learner, he studied Cybernetics, Counseling, Training methodologies and Eastern wisdom as post graduate studies. 4) Prem Nirmal was associated with Welingkar Institute of Management as Professor of Stress management, teaching MBA students and at IIT Powai he was doing staff training for Emotional Intelligence, Art of Thinking and Stress Management. 5) Prem Nirmal, since childhood, had been with many Spiritual Masters… J.Krishnamurti, Swami Chinmayananda, Osho Rajneesh, Paramahansa Muktananda, Sant Amitabh, Vimala Thakar, Kiran Swami, Dada Gavand, Ranjit Maharaj, Ramesh Balsekar, Pilot Baba, Gorakh Baba, Bhagwati Maiji, Narayan Swami, Yogiraj Amar Jyotiji and many other known and unknown saints of Himalaya. 6) Prem Nirmal had first major breakthrough (Atma-Vyapti / Enlightenment experience) on spiritual journey by being in guidance of his mentor Sri Dada Gavand on 13th July 1993 that had major impact on his being. 7) After the breakthrough experience Prem went into semi solitude, enjoying silence more and more, attending his business to minimum required levels that helped him to settle in Shiv-Vyapti (Sustained Enlightened State). This is the time Prem got first message from Sri Mahavatar Babaji about his mission through Harish Baba on his birthday (19.07.1997) at his residence at Thane, India. 8) In year 2000 Prem had about an hour’s meeting with Sri Mahavatar Babaji in “Divya –Deha” (Golden Body) when He appeared to him at his residence on one morning at 4.30am and gave him “Nirmal Kriya” and also the knowledge of Kriya Kundalini Yoga that Prem Nirmal is now teaching worldwide. 9) Prem gave first major public talk at Theosophical society – Thane lodge on June 20, 1999. Just before the talk he had first darshan of Sri Mahavatar Babaji at the entrance of the temple complex and he received the Blessings of Babaji for the first time in physical body. 10) Prem had received Shaktipat from Paramahansa Muktananda (Direct disciple of Bade Baba – Paramahansa Nityananda of Ganeshpuri) in summer of 1980. He received one more Shaktipat from Sri Lakshmanjoo Maharaj in astral dimension in 2008, after which he started giving talks on Kashmir Shaivism. After this he visited Sri Lakshmanjoo Maharaj’s ashram at Srinagar and also at Delhi and gave talk on Kashmir Shaivism at Delhi. 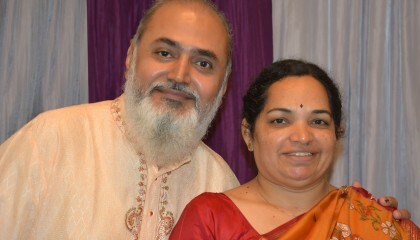 11) Prem Nirmal along-with his wife Bharati Nirmal established Tao Anand Spiritual Centre at Thane on 8th April 1997 with a meditation center and spiritual books library with books donated by a friend Swami Ananda Rishi – that attracted lots of young intelligent people who started practicing meditation on regular basis. 12) Prem Nirmal established Pyramid Ashram at Kalyan that was inaugurated by Brahmarshi Subhash Patri ji in 2003. 13) Prem went with his family and friends from Tao for first Kailash Mansarovar Yatra in July 2004. Prior to this, he roamed around Himalayan region for few times, staying at various Ashrams and learning directly from many Masters in Himalayan Tradition. Major Himalayan Masters he met during this time are Mukteshwar Maharaj, Pilot Baba, Gorakh Baba, Bhagwati Maiji, Narayan Giri and many other known and unknown Masters. 14) From 2005 onwards, Prem started traveling all over to establish Enlightenment Education societies in major cities and towns of India, gathering people – young and old – teaching them Meditation based lifestyle. EES World philosophy is based on Seva (Service), Shikshan (Enlightenment Education), Sadhana (Spiritual Awakening Practices) and Sanghatan (Unification). “Enlightenment Education Society” is now promoted worldwide as informal groups to impart Enlightenment Education to all human beings without any discrimination of cast, creed or religion. 15) Prem Nirmal with a team of dedicated trustees established Shiv Vyapti Trust on Thursday 6th March, 2008 for charity activities. Registration certificate no E-25029 (Mumbai) dated 26th May 2008. Permanent Account No. : AAHTS4292B. All donations to Trust are exempted from Income Tax under section 80 – G by Order no. : DOT(E)/MC/80G/1215/2008/2008-09. 16) Prem met Yogiraj Amar Jyoti ji at Sri Sri Maha Avatar Babaji Meditation Center, Kandwari, Palampur in 2008 and continue to learn in his presence at various occasions. 17) Prem Nirmal was conferred the title of “Brahmarshi” by members of Enlightenment education Society and Brahmarshi Subhash Patri ji (Promoter of Pyramid Spiritual societies) in a public meeting at Thane on 23rd June 2009 for his special capacity of directly down loading the knowledge from Rishi loka and distinguished work and contribution to the society in the field of Scientific Spirituality and Kriya Yoga, in the form of “Technology of Total transformation”. 18) Prem Nirmal started his international teaching in May 2008 starting from Dubai (U.A.E.) and happened to visit many times – Muscat (Oman), Nairobi (Kenya), Kuala Lumpur (Malaysia) and Singapore, Bali (Indonesia) and Hong Kong. He also gave his talks all over India and conducted Kriya Yoga workshops in major metro cities of India. 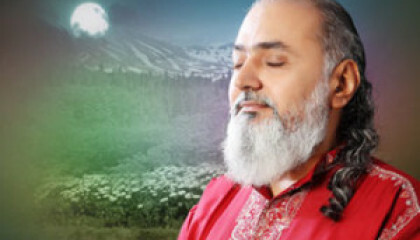 19) Prem Nirmal has introduced Kriya Yoga and Meditation to thousands of people worldwide. He also teaches Swara Yoga, Ashtavakra Gita, Kashmir Shaivism, Sri Vidya and Tripura Rahasya. 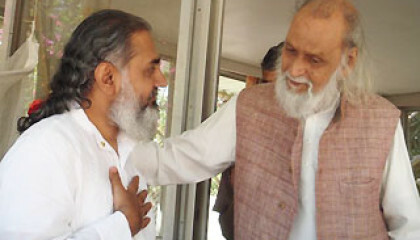 20) In June 2012, under guidance of Prem Nirmal, major research work has been started by a team of doctors and research scholars to investigate short term and long term effects of “ 49 Healing Breaths Nirmal Kriya” and “Six step Nirmal Dhyan”. 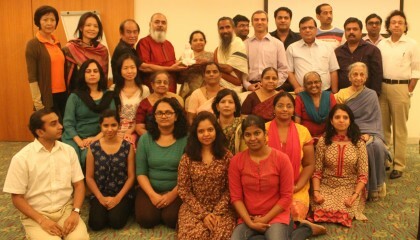 Seeing the need of Enlightenment Education for peace, harmony and brotherhood on planet earth, Prem Nirmal has launched “Ten Million Buddhas – Vision 2020” project on 15th July 2012 at Sahyog Mandir, Thane for the dawning of Enlightened Consciousness at mass level. 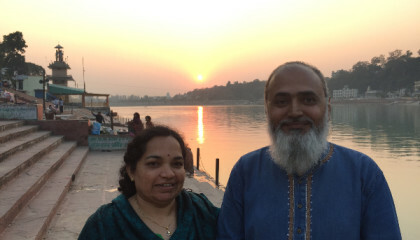 At present, Bharati & Prem Nirmal are helping thousands of friends worldwide to practice “House-holder’s Spirituality” through Kriya Yoga, Swara Yoga, Kashmir Shaivism and Prosperity Yoga based on Sri Vidya. They give talks, conduct seminars, workshops and retreats in various countries for “Total Transformation” of human beings.